Description: Ah used to be a cattle-man until that bull ate mah GOOD hat. Now i'm left with this ol' thang. and Ah'm reduced to banditry. 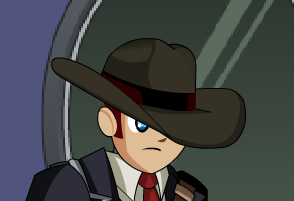 Note: Also see Rancheritrix Helm.